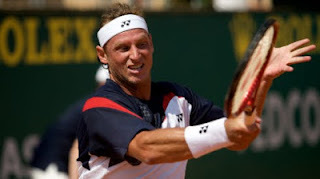 Today, at a press conference to present the 2013 ATP Copa Claro in Buenos Aires, David Nalbandian said to the press that his girlfriend, Victoria, is pregnant and that he will become a new daddy in May. "Victoria and I are very happy," he commented. 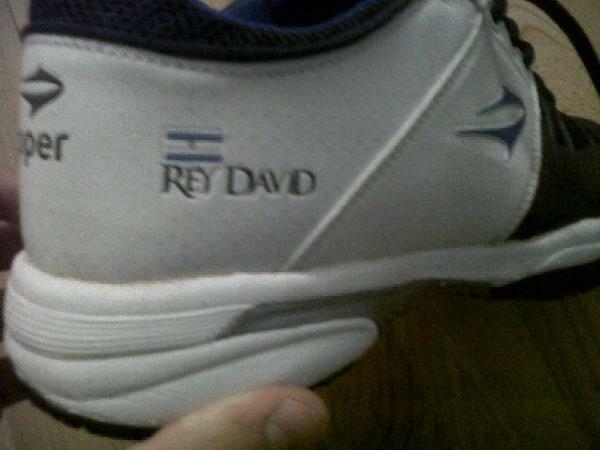 "With David. we've finished eating and now we are going to practice at Wimbledon" He wrote. 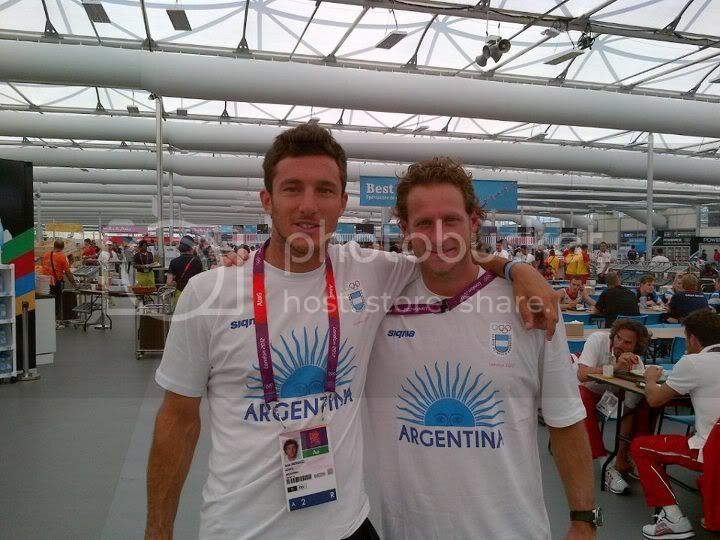 Argentine tennis players, Juan Martin Del Potro and David Nalbandian, were interviewed by Argentine press during their preparation for the 2012 London Olympics and both want to bring home some medals. Del Potro, who will compete in singles and mixed doubles with Gisela Dulko, said that winning a medal would be as good as winning a Grand Slam tournament. "Undoubtedly, to win a medal would be a great achievement, a marvellous, beautiful and historic achievement ... considering the quality of my rivals. 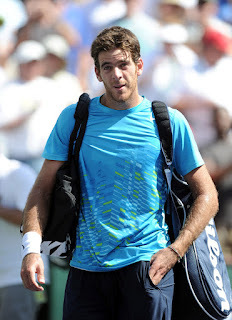 It would be almost like winning a Grand Slam," Delpo commented. He also thinks it will be "a unique experience, because it's something that happens (only) every four years." David Nalbandian, who was defaulted in the Queen’s Club final after his kick to the front of a sponsor’s advertising board struck a linesman’s left leg, issued a statement. He also extended his apologies to the crowd, Tournament Director and to his followers in Argentina and around the world. David Nalbandian was defaulted from his Queen's Club final against Marin Cilic on Sunday for kicking out and injuring a linesman. Nalbandian was leading 7-6 3-3 when he dropped serve in the seventh game and reacted by slamming his right foot into an advertising board which hurt the official's leg. Cilic was awarded the match despite trailing 6-7 4-3. 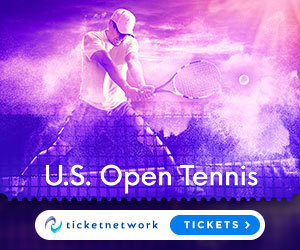 Sam Querrey beat Ivan Dodig 7-5, 3-6, 6-3 while David Nalbandian had to win two matches today to advance the semifinals at the AEGOn Championships in London. Querrey broke after Dodig double-faulted to lead 6-5 in the opening set and then held to seal it. In the second set, a netted forehand at 4-3 earned Dodig the only break. In the final set, a forehand error at 3-2 left Querrey in charge. "Tough match," Querrey said. "We both served very well so it was just a matter of a couple of points here and there. I'm proud of myself after losing the second set to come back strong in the third." Q. I wanted to know something. What are the conclusions that you would draw from this match? Do you think you could have played differently? 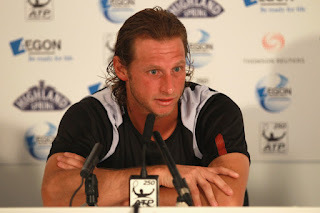 DAVID NALBANDIAN: Well, my conclusions of course are not that good. I didn't play well at all. These things do happen, you know, unfortunately. I have no idea whatsoever about the way I played, nor about the score, by the way. It would have been very important, of course, for me to win this year. I could have won more points, but we'll see what comes next. Q. You had not played during Roland Garros for a while. Now, this year you could play but the draw not that good. 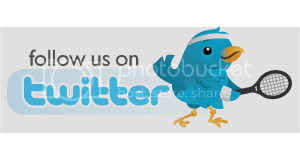 Would you say that the match was not good for you or was not the right day? DAVID NALBANDIAN: Well, I always wanted to play here, but in the recent past I couldn't because I was injured. That's the reason why this time I thought I was ready for it and I could play. So what else? What's the reason? Well, of course I missed my match, or rather I lost it. I don't feel that good, you see. I have my ups and downs during the match. I can win one match and lose the other one. And even during one match I have my ups and downs. Finding explanations is always something very difficult. I have not won that many matches this year. Andy Murray beat David Nalbandian 6-1 4-6 7-5 in the second round of the Rome Masters tennis event. On his birthday, Murray stormed through the first set but the Argentina was able to send the match into the decider where he got a brak up to lead 3-1. Nalbandian used the drop shot and angled groundstrokes to great effect but after getting that break he was broken back and then, at 5-5, the Scott broke to love to lead 6-5 before saving two break-back points to reach round three. It took 2 hrs, 37 min for the Scot to prevail, managing 29 winners and converting eight of his 18 break point chances. Fernando Verdasco eased into the second round in Rome when Alexandr Dolgopolov retired with a stomach ache. Verdasco won the first set 6-0 when Dolgopolov called for the trainer then clutched his stomach as he went over to shake Verdasco's hand and concede. 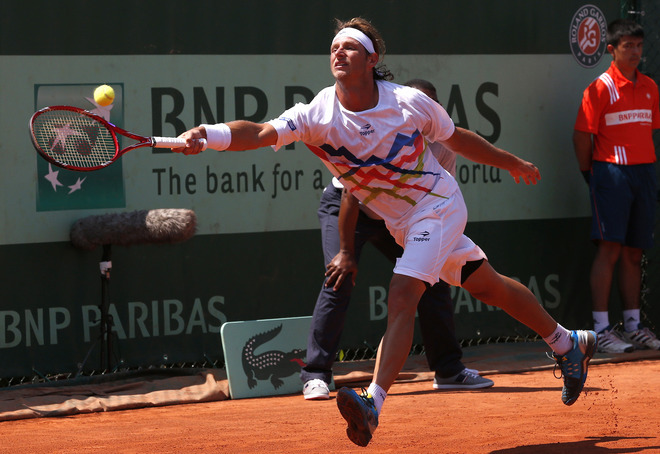 The Spanish left-hander goes onto face countryman and sixth seed David Ferrer. Gael Monfils also advanced after defeating Alex Bogomolov Jr. 6-4, 6-1. Monfils converted five of his 14 break point chances and won 70 per cent of points on his first serve for victory in 79 minutes. Argentina will play against Croatia in the quarter-final of the 2012 Davis Cup in Buenos Aires and will count with it´s top player Juan Martin del Potro. 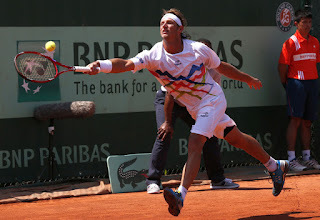 Martin Jaite said that Delpo is set to play singles along with David Nalbandian. 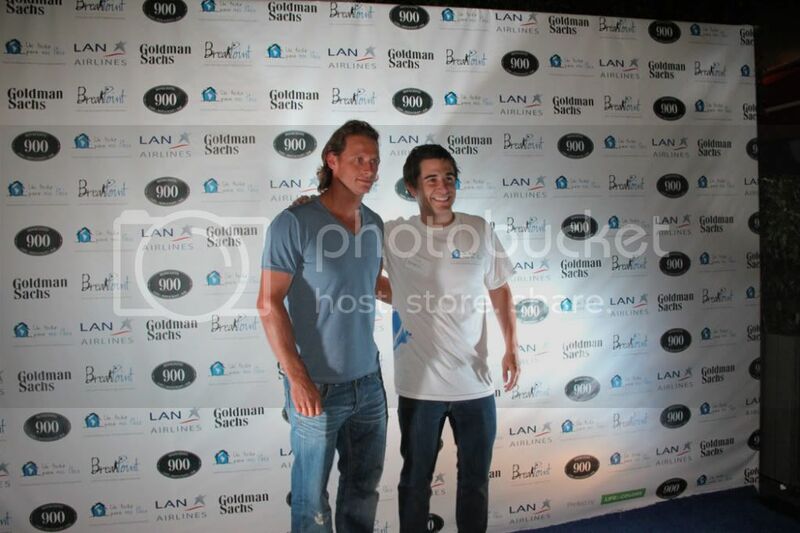 Juan Monaco, Juan Ignacio Chela and Eduardo Schwank will be also part of the team. Jaite defended Del Potro who was criticised for missing the first-round tie. “I was informed with plenty of notice that he wouldn’t be there against Germany, as I had asked him, and as soon as Indian Wells finished he told me he was available for Croatia,” Jaite said. Rafael Nadal beat David Nalbandian 4-6, 7-5, 6-4 to set up a blockbuster semi-final with Roger Federer at Indian Wells. In the opening set, Nalbandian broke broke Nadal with a winner down the line to take a 1 set to love lead. In the second set, the Argentina was leading again while the former world number 1 came within two points of defeat at 5-4, 15/30 but he held and then Nalbandian double-faulted to hand Nadal his first break. The Spaniard then served out the set and broke again to begin the third. 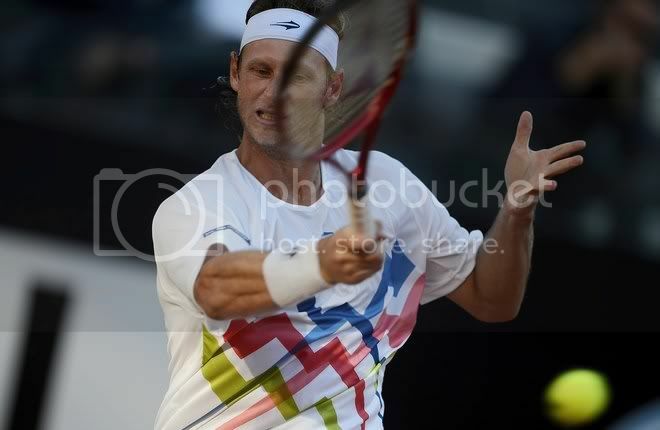 He went up 5-2 in the decider but Nalbandian was able to find his way back into the match. The Argentine broke Nadal and threatened to draw level with two break point chances in the 10th game.